Choice of furniture when decorating the living room is a huge thing. And many people get stuck with the basic question of choosing dark or light-colored ones. After all, couches, loveseats, coffee tables – are major items. Sometimes they even serve as a focal point. They’re also usually the most expensive items you’ll buy for that room. As a rule of thumb, for a warm family-oriented living room, choose light-colored hues but avoid white. 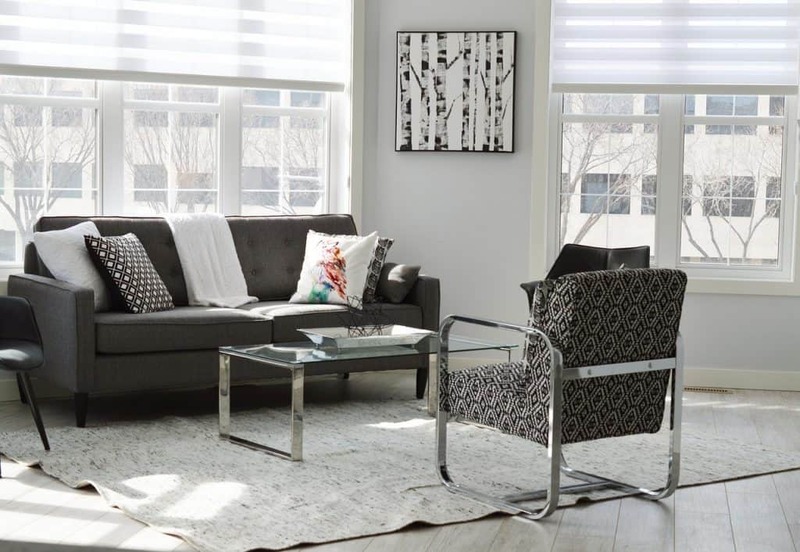 For a more formal looking living room, dark furniture may be an option, although stark white is often the color of choice for modern formal living rooms. There are exceptions to every rule, though. So keep reading to see why home design experts offer this rule, and also when you should probably deviate from it. We’ll wrap up the discussion with some picture examples of living rooms showing either a dark or light choice of furniture. Whether you’re talking about literature, art, architecture, or any art form, darker colors often correlate to somberness, a sense of drama, or both. There’s a reason that Snoopy, in the Peanuts comic strips, sits atop his dog house time after time and begins his would-be book “It was a dark and stormy night.” Snoopy didn’t invent that phrase and yet from moody interiors and brooding couples of the Bronte Sisters’ novels to the darkened interiors of so many Gothic and Victorian homes, we tend to associate darkened surroundings with a heightened sense of drama. As such, darker sofas, armchairs, tables, and other furnishings can be a great way to evoke that same sense of classic dramatic awe in your décor. Darker colors give a space a sense of weight, and so a room full of darker furnishings can help give it a sense of depth and magnitude. That’s part of the reason that they also tend to be more commonly associated with somber, more serious interiors. What do you think of when you imagine a Victorian-style study – saccharine splashes of primary colors, or deep oak tables and dark brown sofas illuminated by the firelight? If you’re looking to evoke a sense of classical elegance, grandeur, and seriousness in a room, darker furnishings are the way to go. Given the opposite nature of the two, it should come as no surprise that whereas darker interiors tend to be moodier, weightier, and feature a greater sense of age and magnitude, brighter interiors are typically warmer, more airy, and more cheerful. If the exemplar of darker furnishings’ effect on the mood of a room can be seen in 19th century British Literature, we can see light furnishings come into their own in 20th-century American Sitcoms. 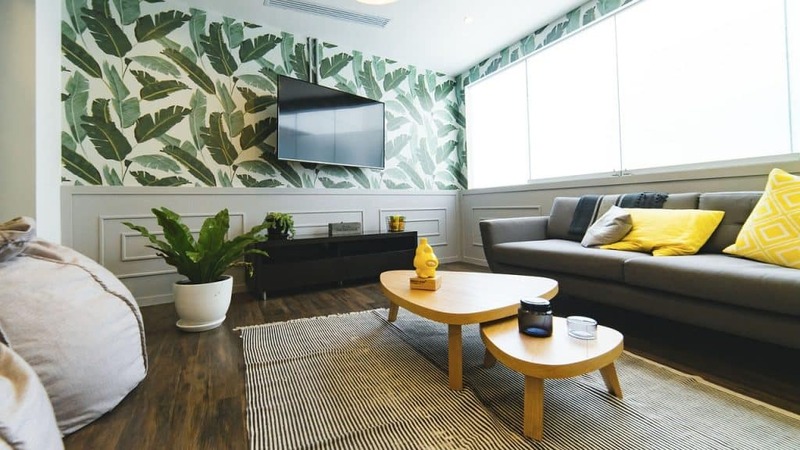 Friends, Frasier, The Big Bang Theory – what do the apartments and furnishings in all four of these sitcoms have in common? That’s especially true of the furnishings. From Marty Crane’s technicolor, tastefully tasteless armchair on Frasier to Sheldon and Leonard’s famed bright reddish-brown couch on The Big Bang Theory, brightly-colored furnishings dominate these interior spaces, and with good reason. Lighter-colored furnishings can help create a lighter mood, which is precisely what’s called for in a sitcom, after all. These rooms also feature a bunch of quirkier, less utilitarian furnishings, such as the foosball set in Joey and Chandler’s apartment on Friends. Things like sofas and foosball sets are natural areas in which to socialize, and that point is underscored in their color scheme by making them lighter colored and thus more inviting. The same can hold true for social areas in your interior décor. Living rooms in particular often feature lighter furnishings for this very reason. Lighter furnishings will naturally show dirt or stains more easily, which makes them easier to spot and thus clean. Darker furnishings, however, are for that very reason better for concealing dirt or stains to the naked eye. As exemplified by our Victorian Book vs. American Sitcom comparison, lighter furnishings tend to feel a bit more contemporary, while darker furnishings can often feel more classically-inclined. Lighter furniture is often a bit more versatile since you can place them in any part of your home without worrying about it making space seem unintentionally “moody”. 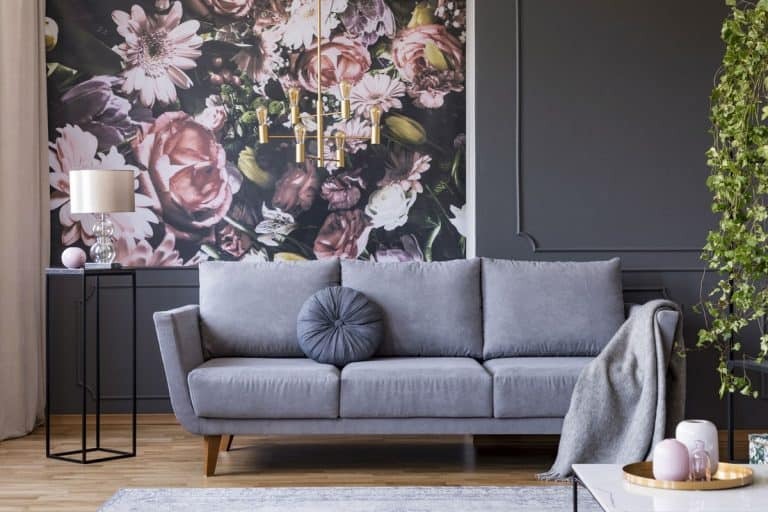 Darker furniture, by contrast, depends more on the elements around it, with the right complementary features – such as a light from a roaring fireplace or chandelier overhead – doing wonders. So, which is ultimately better for your living room? It depends on the nature of your living room and what you’re looking to achieve. On the whole, because living rooms tend to be more social areas, the initial advantage would seem to go to lighter furniture. It is more naturally socially-inviting, which is precisely what you want in a living room setting. At the same time, however, you can get more from both combined than you ever could by taking one or the other on their own. As mentioned above, a darker sofa or oak table can look stunning when illuminated by the right source of light. Likewise, utilizing only lighter colors can make a room feel too open and airy, and so using the weight and magnitude of darker furnishings to complement and counterbalance that is ideal. 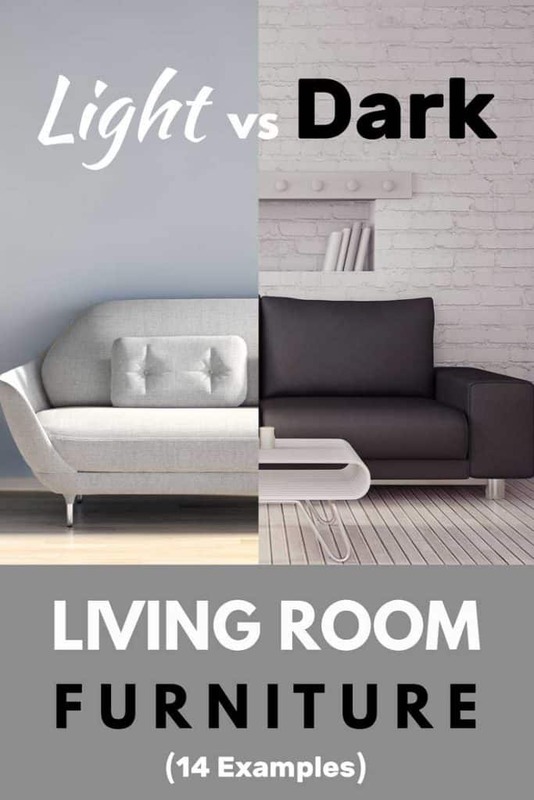 If you’re wondering whether to choose light or dark furniture, remember that there are other aspects to your choice which are bound to affect the end result. Light or dark – but which colors? Color is a huge factor in interior design. There are color “groups” that you’ll end up working with. Some are lighter or darker by nature. For example, pastels are lighter versions of colors such as red, blue, green and yellow. To get pastel colors, you basically mix white into primary colors. Thus, purple can create soft lilac and orange creates shades of apricot. They are all light by nature. Earth tones are also mostly light-colored, with hues of beige, sand and tan. You can definitely have dark earth tones with deep browns but as a palette, this tends to be a light-colored one. Your choice of color is crucial. Let’s say you decide to go with light furniture. Will be warm creams? Neutral beige? Soft pastels? Or perhaps bright white? Choosing the right color can really make a huge difference. Patterns can really change how a color looks. Patterns mix more than one color, and the final result can have its own degrees of being light, dark, or a good mix in the middle. If you’re debating light vs. dark furniture, always keep texture in mind as well. Polished light-colored wood can end up looking far more formal than a potentially warm-looking dark oak coffee table with a natural finish. By the same token, vynil chairs will often create a “colder” more industrial feel, even if they come in a light color. This is important especially if you plan on mixing and matching colors and hues. Larger pieces of furniture such as couches or loveseats are going to be more prominent than a smaller ottoman or accent table. Keep that in mind to get a better sense of the end result. So far we’ve discussed the furniture themselves, including their various characteristics. But how about the room they’ll be in? The floor, walls, and windows – even the room’s doors – should all be included in your considerations. If you can change those, then consider the overall effect of your new setup. More often than not, people only replace the furniture and smaller home decor items. Which is fine – only it means you must take into account the color of the room elements when choosing furniture. Finally, some inspiration! We’ve collected a few interesting living room design to inspire you. Starting off with a stark all-white living room that shows you light doesn’t always have to be warm… As stated early on in this post, formal modern living rooms often use bright white as the main color for furniture. Here it’s combined with white walls, window treatments and mostly white decor items for an almost-clinical looking room. White can be combined with warm styles and materials though. Like in this cabin-like living room where a warm wooden oak table echoes the wooden walls. The white sofa elevates the entire look to a more formal level – not usually seen in country-style living rooms. This light colored couch has a bit of pattern thrown in, in the form of stripes. It counters the dark walls and becomes a focal point in its own right. Note how the black accent table actually seems to disappear next to the bright couch. That’s because the dark walls accentuate the light furniture items – not the dark ones. A gorgeous example of a light and airy coastal-style living room in white. The furniture is definitely light-colored but the couch uses texture and earth tones to create a warmer look overall. The blue accents tie together this entire deisgn. Light furniture look great in this pastel pink living room. While it’s quite distinctly pink, there is a clever use of various tones and hues – all of them light and warm – which make the entire room warm and inviting. Furniture in light grey and cream create a wonderfully pleasant looking atmosphere. They work very well in this huge space, allowing the very unique black-framed window to stand out and become the focal point of this room. Dark furniture can work well even in a small living room. Mixed with a white rug and white elements on the wall, you get a fresh almost-Scandinavian look that looks as comfortable as it is beautiful. 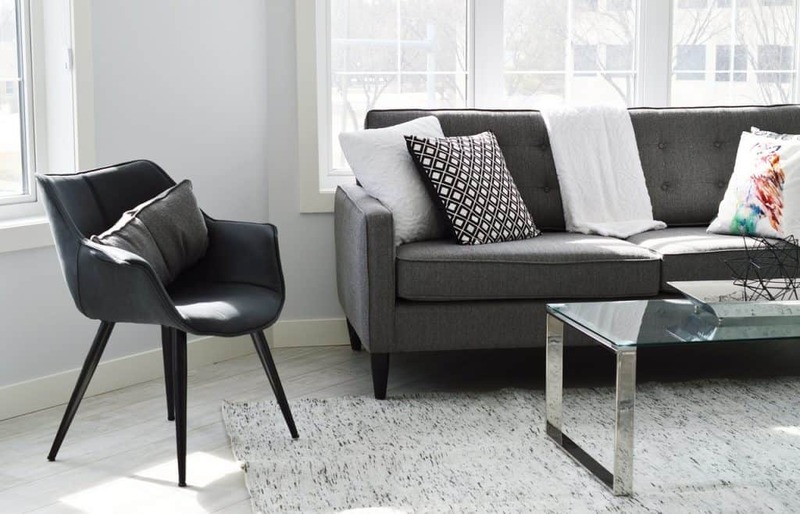 A gorgeous dark grey couch fits in perfectly in this nearly monochromatic living room. Rather than a stark black & white look, the designer went for a softer and more livable array of – dare we say it? – shades of grey. Note the wonderful use of decorative accents, mixing black, white and smokey pink. A great Middle Eastern seating set in a rather dark shade of slate blue looks great in this living room. The texture of the walls, as well as the colorful throw pillows, add a unique flavor, hinting at the Oriental influence yet retaining an overall clean modern look. We love how this room takes dark furniture and uses them to make the space less formal. 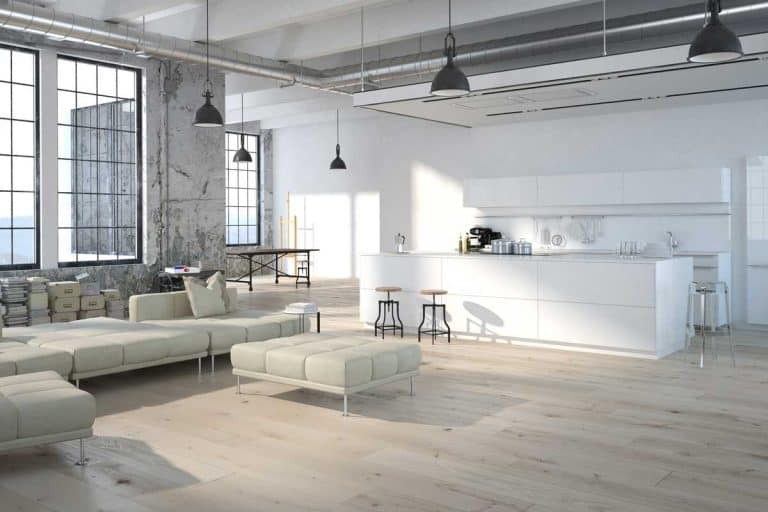 The overall white walls and trimmings could have easily set the tone for a rather cold modern look. Yet, the designer managed to add warmth by picking a selection of dark furniture. Choosing the warmer shades of dark – burgundy and deep purple – and going for a generally eclectic style, they created a gorgeous space, that’s heavily influenced by the presence of the impressive library as its focal point. What an entirely different setup this room has – even though its design still centers around a book collection. The dark furniture is used for its full dramatic effect here, placed in an overall monochromatic design with a black-colored modern style library. A far more traditional use of black furniture here – though still very dramatic. The dark leather furniture, the dark oak table, and the velvety bench, all are matched to create an almost gothic feel and look to this living room. Finally, a nice example of a mix of dark and light furniture. This living room gets a good balance with a mix of a dark couch, a dark grey rug along with white walls and a large white coffee table. You can even mix dark and light colors in the same furniture items. Like here, with a dual-colored couch and black and white accent tables.